The variety of creative intelligence. 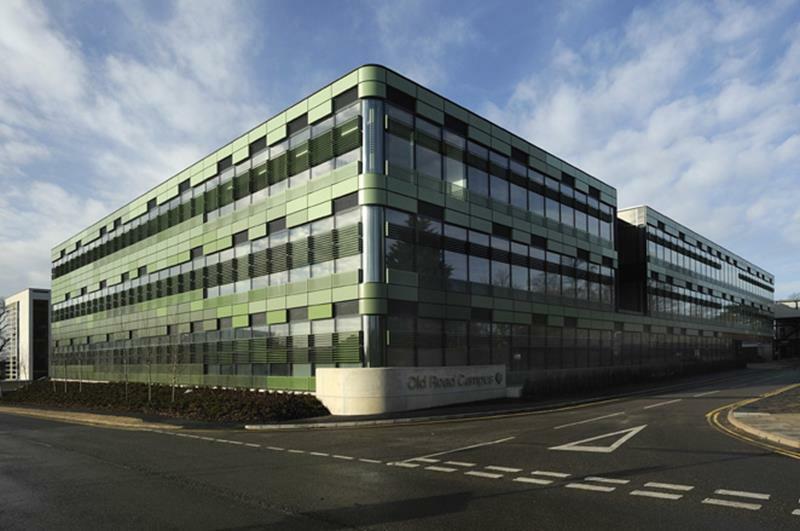 The Old Road Campus is Oxford University’s newly built Oncological Institute and is located to the east of the city centre adjacent to the Churchill Hospital. 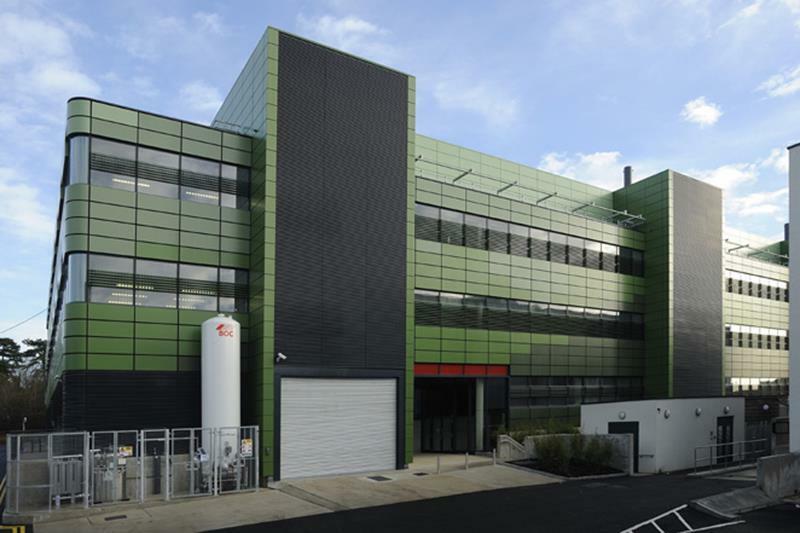 The 4-storey building was topped out at the end of June 2007 and completed in August 2007, in spite of an extremely tight schedule and an installation process that demanded adherence to a strict sequence. 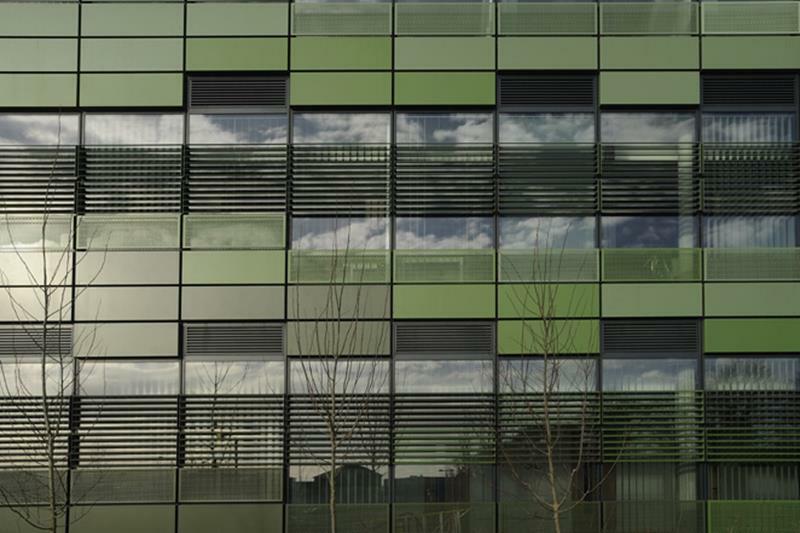 A unitized facade (GIG Series 94 system), consisting of 465 curtain elements (approx. 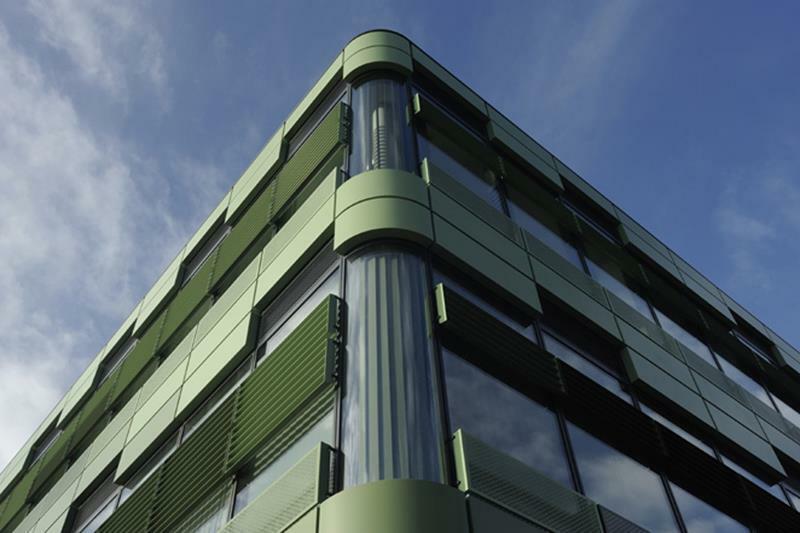 3.230 m²) comprised of glass and aluminium cassettes and sun protection elements in differing colours forms the shell of the building. 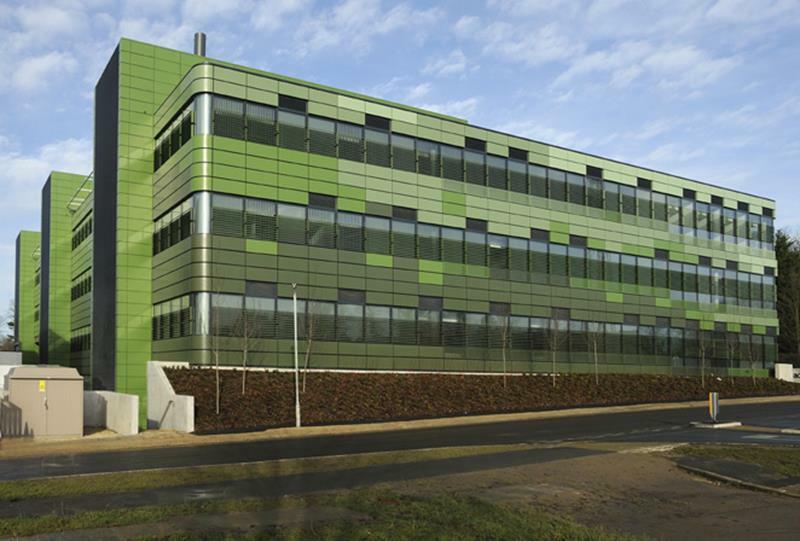 In addition, mullion-transom-facades and sheet and louvre cladding were installed. 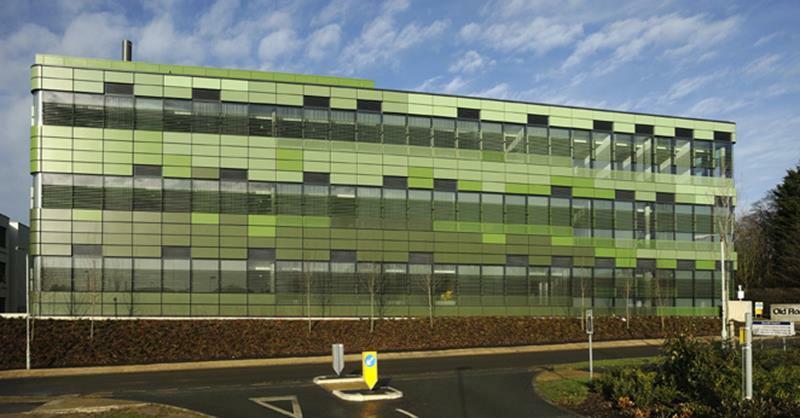 The special aspect of this order was provided by the diversity of the elements involved, whereby above all, the use of five differing shades of green played a major role.